Mandy is a single mom of two amazing kids. This page is to help her so she can focus on her son connor. Connor is 9 years old and has several disabilities. He has cerebral palsy, he is blind, has hormone deficiencies, he suffers from seizures, global development delays and is currently being tested for autism. Connor eats threw a feeding tube and is non verbal he can not walk. A common issue with kids with Cerebral palsy is hip dislocation and connor was recently diagnosed with this issue. 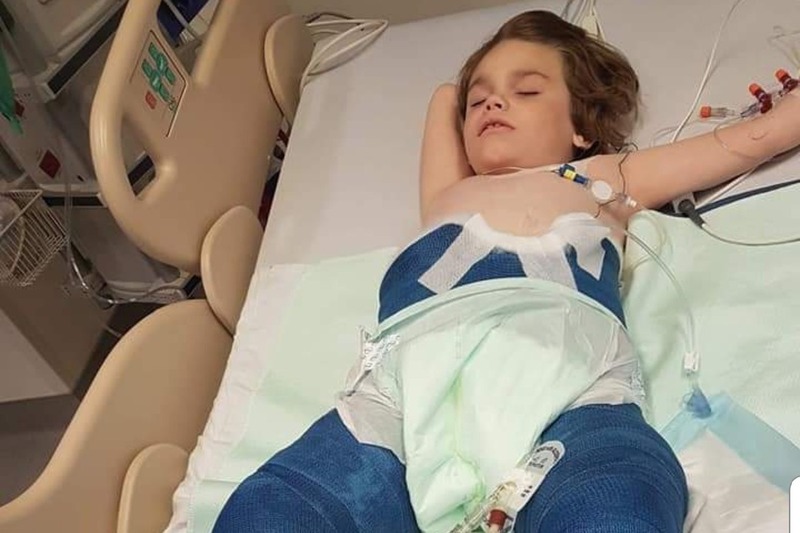 In july connor was admitted to BC children's hospital for a major surgery on his hips. The surgery went perfect buy Connors body didn't handle it well at all. Connor and him mom mandy spent a month in the hospital and back and forth for another month and a half till Connor was readmitted back to children hospital. Connor and mandy have been between children's hospital and Sunnyhill since the end of Sept as Connors hip dislocated again and wasn't healing. Next week Connor will undergo another surgery and they will both be in Vancouver for at least another month and then physio after that. So I was hoping we could help this family out so mandy can focus on Connor and not be so worried about the bills. Let's show mandy how much we all care.